The picturesque Greek island of Santorini is world-famous for its limpid, turquoise waters, its breathtaking views, its white-washed villages perched atop vertiginous cliffs, and its volcano, which has shaped the island’s history in dramatic ways. But there’s another thing Santorini boasts: a noble white grape known as Assyrtiko – a grape as distinct as the island that hosts it. To say that growing conditions in Santorini are good for vines would be an understatement; they are, in fact, ideal. Volcanic, porous soil that is, to this day, phylloxera-free; an unsurpassed amount of sunshine during the growing season; sea mists that are the only moisture the vines get all summer long; low-yielding root stocks, some more than 80 years old – these are some of the unique conditions that help create rare and precious wines. There are several wineries on the island, and Gai’A Wines is one of the most respected. Co-owner Yiannis Paraskevopoulos, one of Greece’s leading winemakers, has gained international acclaim in the last few years. When you taste his wines you’ll instantly understand why. Gai’A is well known for their stunning Assyrtikos. 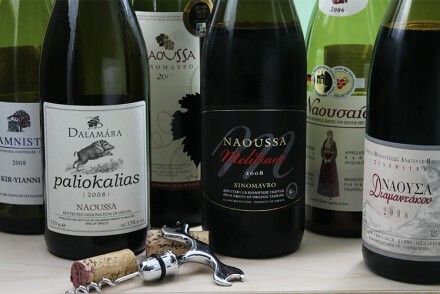 Since 1994, the winery has been producing their signature Thalassitis and Thalassitis Oak Fermented with great success. But today it is a more recent experiment – Gai’A’s Assyrtiko Wild Ferment – that I want to showcase. As the name suggests, instead of using commercial yeast to ferment the wine, Paraskevopoulos uses strictly wild yeast – yeast that lives naturally on the skin of the grapes and in the vineyard. To make the Wild Ferment’s journey to your glass even more interesting, the wine is aged in a combination of barrels: acacia, French oak and American oak. 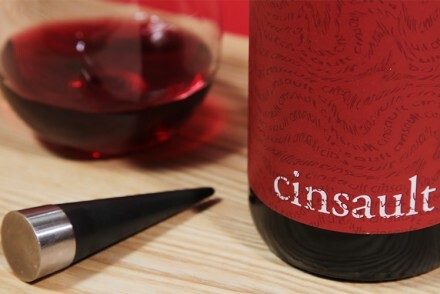 The result is a wine that is marvelously complex, luscious, deep… and yes, wild! On the nose, the Assyrtiko Wild Ferment is vivacious, making your nostrils tingle. Aromas of citrus, petrol (reminiscent of German Riesling) and herbs literally burst out of the glass, all cloaked by a minerality that evokes a sea breeze. At first sip, you feel as if you’ve just bitten into a briny green olive – mineral, salty and crisp, the wine instantly makes your mouth salivate. Then a myriad of flavors swell in your mouth: citrus peel, herbal notes reminiscent of fennel, bitter almonds, volcanic pumice, white pepper and even a hint of honey. 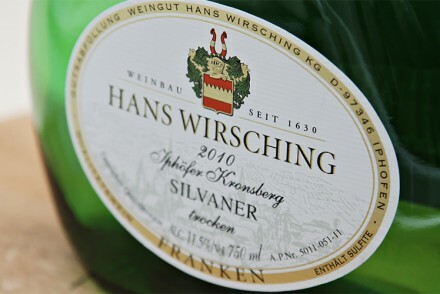 The wine is fabulously complex, deep, luscious and round – in one word, succulent! In the process of pairing a wine with food, a bottle can end up being open for a couple of days. This one was no exception. Yet after tasting the same bottle for more than three days (storing it properly, of course), I was astounded to discover the Wild Ferment had lost none of its vibrancy and complexity – truly a testament to the quality of this exquisite wine! Seafood, olives, and salty cheeses would all be excellent pairings, but I decided to serve the Wild Ferment with this mizuna and cucumber salad with red onions, feta, tarragon and Champagne vinaigrette. The salty minerality so prevalent in the wine was brilliant with the feta. The white pepper spice stood up to the spunky mizuna. The herbal elements sang along with the tarragon, while the vibrant acidity of the wine went hand-in-hand with the Champagne vinaigrette. Drinking the Assyrtiko on its own is immensely pleasurable, but taking bites of the salad in between sips makes you pause and savor. To me, this is the mark of a great wine. It entices you to taste food in a completely new way. Gai’A Wines’ Assyrtiko Wild Ferment is one of the most exciting white wines I’ve ever had. I hope Yiannis Paraskevopoulos continues his experiment for many years to come. Even though the wild yeast will make every vintage unpredictable, I know with certainty that the wines will be outstanding. 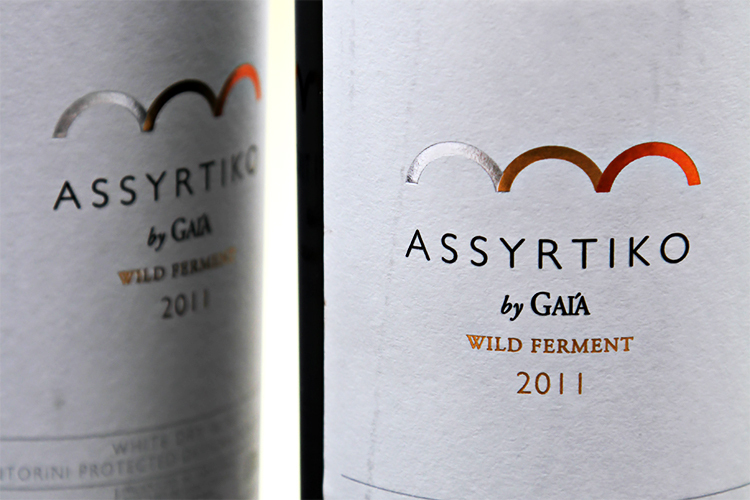 You can purchase Gai’A Wines’ Assyrtiko Wild Ferment at Astor Wines. They ship to most states in the US. Totally agree with yor comments. Tried this out of curiosity on the new P&O ship Britannia. Great wine. Due back in Santorini this year and will definitely be hunting down a few bottles to enjoy. Matt, How very exciting for you to be visiting Santorini again… Please have some Assyrtiko for me. Bon voyage! We were lucky enough to spend just over a week on Santorini this spring, delving into its unique cuisine and wine. One of our favorites was the Assyrtiko. I like your pairing idea here and look forward to trying the recipe. Tricia! Thank you so much for your lovely note. How marvelous that you got to spend some time on that blessed island! Enjoy the recipe and the wonderful Assyrtikos available in the US. Cheers! I was in Santorini but only for 2-3 hours during a cruise. No time to explore or sip wine. I did not know about it. I wish I did, it looks wonderful I am almost taste it from your description. 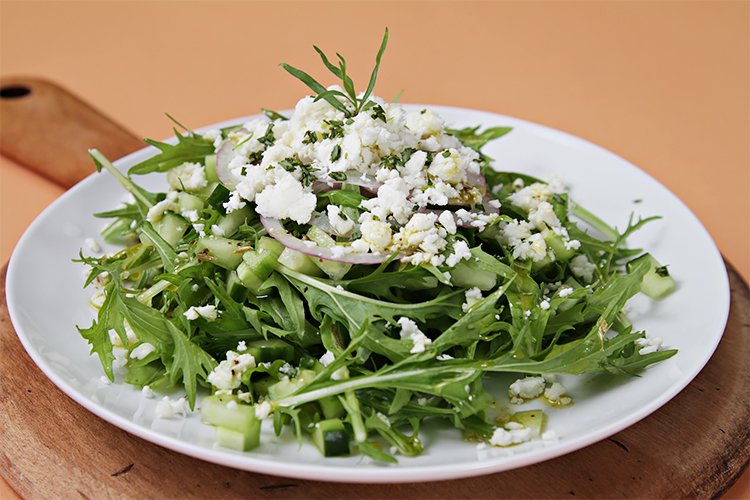 Great simple salad to serve with it. Hi Evelyne! Sounds to me like you’re ready for another trip to Santorini! I have yet to visit… I hope it’ll happen next year. Thank you so much for stopping by. Cheers!